A Hacker named as "Sony" found XSS vulnerability in Samsung website. 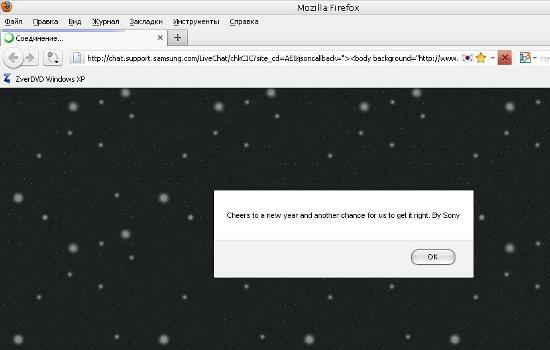 According to his report, the http://chat.support.samsung.com is vulnerable to XSS Attack. The original post can be found here. Few months back, he found the XSS vulnerability in Adobe Profile page.